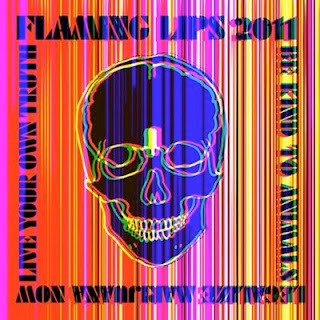 April 20th, "The Flaming Lips released new music on a USB flash drive inside a seven pound skull made of edible gummy gook (the kind used for gummy bears and worms, etc) – though only five were for sale, personally delivered by Wayne Coyne to Norman/Oklahoma City’s Guestroom Records." 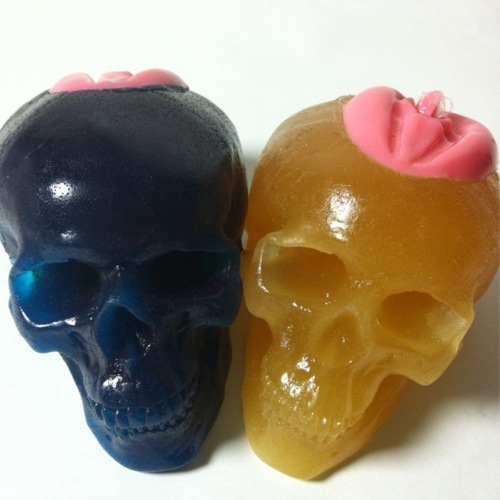 Inside of each skull (see picture down below), these lucky bastards at Oklahoma City could find four brand new Flaming Lips' songs. Click here if you want to know more. You can listen to all four tracks below, but don't eat all the gum.